Chen Zheng, Yun Zhang, & Leiguang Wang (2017): Semantic Segmentation of Remote Sensing Imagery Using an Object-Based Markov Random Field Model with Auxiliary Label Fields. IEEE Transactions on Geoscience and Remote Sensing, Vol. 55, Issue 5, pp. 3015 – 3028. Shabnam Jabari, Fatemeh Fathollahi, Aditya Roshan & Yun Zhang (2017): Improving UAV imaging quality by optical sensor fusion: an initial study, International Journal of Remote Sensing, Vol. 38, Issue 17, pp. 4931-4953. Essam Sharaf El Din, Yun Zhang & Alaeldin Suliman (2017): Mapping concentrations of surface water quality parameters using a novel remote sensing and artificial intelligence framework, International Journal of Remote Sensing, Vol. 38, Issue 4, pp. 1023-1042. Leiguang Wang, Xin Huang, Chen Zheng, & Yun Zhang (2017): A Markov random field integrating spectral dissimilarity and class co-occurrence dependency for remote sensing image classification optimization. ISPRS Journal of Photogrammetry and Remote Sensing, Vol. 128, pp. 223–239. Shabnam Jabari & Yun Zhang (2017): Building Change Detection Improvement Using Topographic Correction Models. Advances in Remote Sensing, Vol. 6, No.1, pp. 1-22. Alaeldin Suliman, & Yun Zhang (2017): Optical-Elevation Data Co-Registration and Classification-Based Height Normalization for Building Detection in Stereo VHR Images. Advances in Remote Sensing, Vol. 6, pp. 103-119. Yun Zhang, Aditya Roshan, Shabnam Jabari, Sina A. Khiabani, Fatemeh Fathollahi, and Rakesh K. Mishra (2016): Understanding the Quality of Pansharpening – A Lab Study, Photogrammetric Engineering & Remote Sensing, Vol. 82, No. 10, October 2016, pp. 747–755. Maduako Iyke, Yun Zhang, & Patrick B. (2016): Simulation and Prediction of Land Surface Temperature (LST) Dynamics within Ikom City in Nigeria Using Artificial Neural Network (ANN). Journal of Remote Sensing & GIS, Vol. 5, Issue 1, Page 1 – 7. Jabari, Shabnam, Yun Zhang (2016): RPC-Based Coregistration of VHR Imagery for Urban Change Detection. Photogrammetric Engineering and Remote Sensing, Vol. 82, No. 7, pp. 521-534. Suliman, Alaeldin, Yun Zhang, and Raid Al-Tahir (2016): Registration-based Mapping of Above-ground Disparities (RMAD) for Building Detection in Off-nadir VHR Stereo Satellite Imagery. Photogrammetric Engineering & Remote Sensing, Vol. 82, No. 7, pp. 535–546. Zheng, Chen, Yun Zhang and Leiguang Wang (2016): Multilayer Semantic Segmentation of Remote Sensing Imagery Using Hybrid Object-based Markov Random Field Model, International Journal of Remote Sensing. Vol. 37, Issue 23, pp. 5505-5532. Wang, Jian-Jun, Guisheng Zhou, Yun Zhang, Coen Bussink, Jiahua Zhang, and Hao Ge (2016): An Unsupervised Mixture Tuned Matched Filtering-Based Method for the Remote Sensing of Opium Poppy Fields Using EO-1 Hyperion Data: An Example from Helmand, Afghanistan, Remote Sensing Letters, Vol. 7, Issue 10, pp. 945-954. Seyed Ahad Beykaei, Ming Zhong, & Yun Zhang (2015): Development of a land use extraction expert system through morphological and spatial arrangement analysis. Engineering Applications of Artificial Intelligence, Vol. 37, pp. 221-235. Liu, Guoying, Yun Zhang and Zhe Zhao (2015): Incorporating adaptive local information into fuzzy clustering for image segmentation, IEEE Transactions on Image Processing. Vol. 24, No. 11, pp. 3990-4000. Liu, Guoying, Zhe Zhao, and Yun Zhang (2015): Image fuzzy clustering based on the region-level Markov random field model. IEEE Geoscience and Remote Sensing Letters, Vol. 12, No. 8, pp. 1770 – 1774. Wang, Leiguang; Qinling Dai; Qizhi Xu; Yun Zhang (2015): Constructing Hierarchical Segmentation Tree for Feature Extraction and Land Cover Classification of High Resolution MS Imagery. IEEE Journal of Selected Topics in Applied Earth Observations and Remote Sensing, Vol. 8, Issue. 5, pp. 1946 – 1961. Suliman, Alaeldin and Yun Zhang (2015): Back-propagation Neural Networks in Remote Sensing Image Classification – A Review on the Design and Implementation of the Networks. Journal of Earth Science and Engineering, Vol. 4, pp. 389-399. Suliman, Alaeldin, Yun Zhang, Shabnam Jabari (2015): Development of line-of-sight digital surface model for optical and elevation data registration. IEEE Journal of Selected Topics in Applied Earth Observations and Remote Sensing. Vol. 8, No. 4, April 2015. Liu, Guo-Ying, Pengwei Li and Yun Zhang (2015): A color texture image segmentation method based on fuzzy c-means clustering and region-level Markov random field model. Mathematical Problems in Engineering, Volume 2015, Article ID 240354, pp. 1-9. Beykaei, A., M. Zhong, S. Shiravi, and Y. Zhang (2014). A hierarchical rule-based land use extraction system using geographic and remotely sensed data: A case study for residential uses, Transportation Research Part C: Emerging Technologies, Vol. 47, Part 2, pp. 155-167. Beykaei, A., M. Zhong, and Y. Zhang (2014). Development of a Land Use Extraction Expert System through Morphological and Spatial Arrangement Analysis, Engineering Applications of Artificial Intelligence, Accepted on August 14th, 2014. Xu, Qizhi, Bo Li, Yun Zhang and Lin Ding (2014). High-fidelity Component Substitution Pansharpening by the Fitting of Substitution Data, IEEE Transaction On Geoscience and Remote Sensing, Vol. 52, No.11, pp. 7380 - 7392. Xu, Qizhi, Y. Zhang, B. Li (2014). Pansharpening Using Regression of Classified MS and Pan Image to Reduce Color Distortion, IEEE Geoscience and Remote Sensing Letters, Vol. 12, No. 1, 2015, pp. 28 - 32. Zhang, Y. (2014). From Idea to Research, Innovation and Commercialization — Successful outcomes of GGE and CRC-AGIP Lab at UNB Applied Geomatics, Applied Geomatics, Vol. 6, Issue 3, pp 141-148. Xu, Qizhi, Y. Zhang and B. Li (2014). Improved SIFT Match for Optical Satellite Images Registration by Size Classification of Blob-like Structures, Remote Sensing Letters, Vol. 5, No. 5, pp. 451-460. Huang, Zhongwei, Zhenwei Shi, Yun Zhang (2014): An Inner-Product-Based Discriminative IRLS Algorithm for Sparse Hyperspectral Detection, IEEE Journal of Selected Topics in Applied Earth Observations and Remote Sensing, Vol. 7, No. 6, pp. 2383-2392. Wang, Jianjun, Yun Zhang, and Coen Bussink (2014). Unsupervised Multiple Endmember Spectral Mixture Analysis-based Detection of Opium Poppy Fields from An EO-1 Hyperion Image in Helmand, Afghanistan, Science of the Total Environment, Vol. 476-477, pp. 1-6. Beykaei, A., M. Zhong, and Y. Zhang (2014). Extracting Urban Subzonal Land Uses through Morphological and Spatial Arrangement Analyses using GIS Data and Remotely Sensed Imagery, Journal of Urban Planning and Development, Vol. 140, Issue 2, June 2014. Xu, Q., Y. Zhang, and B. Li. (2014). Recent advances in pansharpening and key problems in applications, International Journal of Data and Image Fusion, Vol. 5, No. 3, pp. 175-195. Beykaei, A., M. Zhong, S. Shiravi, and Y. Zhang (2013). Models and Algorithms for Extracting Urban Residential Land Uses through Morphological and Spatial Pattern Recognition, Computers, Environment and Urban Systems, Accepted on Dec. 19th, 2013. Zhang, Y, and R.K. Mishra (2013): From UNB PanSharp to FuzeGo — the success behind the pan-sharpening algorithm, International Journal of Image and Data Fusion. Vol. 5, No.1, pp. 39-53. Jabari, Shabnam and Yun Zhang (2013). Very High Resolution Satellite Image Classification Using Fuzzy Rule-Based Systems, Algorithms, Vol. 6, pp. 762-781. Salehi, B., Y. Zhang, and M. Zhong (2013): A combined pixel-and object-based image analysis framework for urban land cover classification of VHR imagery, Photogrammetric Engineering & Remote Sensing, Vol. 79, Issue 11, pp. 999 – 1014, Nov. 2013. Dey, Vivek, Yun Zhang, Ming Zhong and Bahram Salehi (2013). Image segmentation techniques for urban land cover segmentation of VHR imagery: Recent Developments and Future prospects. International Journal of Geoinformatics, Vol. 9, Issue 4, pp. 15 -, Accepted August 2013. Tong, H.J., T. Maxwell, Y. Zhang and V. Dey (2012): A Supervised and Fuzzy-based Approach to Determine Optimal Multi-resolution Image Segmentation Parameters. Photogrammetric Engineering & Remote Sensing, Vol. 78, No. 10, pp. 1029–1044. Salehi, B. Y. Zhang, and M. Zhong, (2012): Object-Based Classification of Urban Areas Using VHR Imagery and Height Points Ancillary Data, Journal of Remote Sensing, Vol. 4, No. 8, pp. 2256-2276. Mishra, R.K. and Y. Zhang (2012): Object-Oriented Approach for Remote Sensing Image Processing using Java Advanced Imaging. Journal of Earth Science and Engineering, Vol. 2, pp. 302-309. Mishra, R.K. and Y. Zhang (2012): A review of optical imagery and airborne LiDAR data registration methods. The Open Remote Sensing Journal, Vol. 5, pp. 54-63. Salehi, B., Y. Zhang, M. Zhong, and V. Dey, (2012): A review of the effectiveness of spatial information used in urban land cover classification of VHR imagery. International Journal of GeoInformatics, 8(3), pp. 35-51. Salehi, B., Y. Zhang, M. Zhong (2012): Automatic Moving Vehicles Information Extraction from Single-Pass WorldView-2 Imagery, IEEE Journal of Selected Topics in Applied Earth Observations and Remote Sensing, Vol. 5, No. 1, pp. 135-145. Xiong, Z., and Y. Zhang (2011): Error analysis of corner and center points for image registration, Canadian Journal of Remote Sensing, Volume 37, No. 3, pp. 253-263. Xiong, Z. and Y. Zhang (2011): Bundle Adjustment with Rational Polynomial Camera Models Based on Generic Method, IEEE Transactions on Geoscience and Remote Sensing, Vol. 49, No. 1, pp. 190-202. Xiong, Z. and Y. Zhang (2010): A critical review of image registration methods. International Journal of Image and Data Fusion, Vol. 1, No. 2, pp. 137-158. Zeng, Y., J.X. Zhang, J.L. van Genderenb and Y. Zhang (2010): Image fusion for land cover change detection. International Journal of Image and Data Fusion, Vol. 1, No. 2, pp. 193-215. Mayunga, D., D. Coleman, and Y. Zhang (2010): Semi-automatic Building Extraction in Dense Urban Settlement areas from High-resolution Satellite Images, Survey Review, pp. 50-61. Xiong, Z. and Y. Zhang (2009): A Novel Interest Point Matching Algorithm for High Resolution Satellite Images, IEEE Transactions on Geoscience and Remote Sensing, Vol. 47, No. 12, pp. 4189-4200. Deng, N.W., Y. Zhang, A. Chrzanowski, J.G. Wang (2009): Review of Non-Parametric Models for Dam Deformation Analysis in China, Geomatica, Vol. 63, pp. 211-219. Wuest, B., and Y. Zhang (2009): Region Based Segmentation of QuickBird Multispectral Imagery through Band Ratios and Fuzzy Comparison. ISPRS Journal of Photogrammetry and Remote Sensing, Vo. 64, pp.55-64. Hong, G., Y. Zhang, and B. Mercer (2008): Improvement of high spatial resolution SAR visual interpretation by combining with low spatial resolution multispectral images, Photogrammetric Engineering and Remote Sensing, Vol. 75, No. 10, pp. 1213-1224. Xiong, Z., and Y. Zhang (2009): A Generic Method for RPC Refinement using Ground Control Information, Photogrammetric Engineering and Remote Sensing, Vol. 75, pp.1083-1092. Afify, H., and Y. Zhang (2008): Accuracy assessment of user-derived RFCs for ortho-rectification of high-resolution satellite imagery, International Journal of Geoinformatics, Vol.4, No.4, pp.17-24. Hong, G., and Y. Zhang (2008): Wavelet-Based Image Registration Technique for High Resolution Remote Sensing Images, Computers & Geosciences, Vol. 34, pp. 1708-1720. Hong, G. and Y. Zhang (2008): Comparison and Improvement of Wavelet-Based Image Fusion. International Journal of Remote Sensing, Vol. 29, No. 3, pp. 673-691. Amolins, K., Y. Zhang and P. Dare (2007): Wavelet based image fusion techniques - an introduction, review and comparison, ISPRS Journal of Photogrammetry and Remote Sensing, Vol. 62, Issue 4, September, pp 249-263. Hong, G. and Y. Zhang (2007): A Comparative Study on Radiometric Normalization Using High Resolution Satellite Images, International Journal of Remote Sensing, January, pp. 1-14. Mayunga, S.D., Coleman, D.J. and Y. Zhang (2007): A Semi-Automated Approach for Extracting Building from Quickbird Imagery Applied to Informal Settlement Mapping. International Journal of Remote Sensing, Vol. 27, No. 10, pp. 2343-2357. Zhang, Y. and G. Hong (2005): An IHS and wavelet integrated approach for effectively pan-sharpening IKONOS and QuickBird images, International Journal of Information Fusion, Vol. 6/3, pp. 225-234. Pegler, K., D.J. Coleman, R. Pelot, and Y. Zhang (2005): Comparison of maximum distance metrics for use in the remote sensing of small targets. Journal of Surveying Engineering, Vol. 131, No. 2, pp.50-59. Zhang, Y. (2004): Highlight Article: Understanding Image Fusion. Photogrammetric Engineering & Remote Sensing, Vol. 70, No. 6, pp. 657-661. Zhang, Y. (2004). The Front Cover: Standard and Colour Enhanced Pansharpening of Quickbird Imagery - Sydney, Australia. Photogrammetric Engineering & Remote Sensing, Vol. 70, No. 6. Pegler, K. H., D. J. Coleman, R.P. Pelot, and Y. Zhang (2003). "The Potential for Using Very High Spatial Resolution Imagery for Marine Search and Rescue Surveillance." Geocarto International, Vol 18, No. 3, September. pp 35-39. Zhang, Y. (2001): Texture Integrated Classification of Urban Treed Areas in High-Resolution Color Infrared Imagery. Photogrammetric Engineering & Remote Sensing, Vol. 67, No. 12, pp. 1359-1365. Zhang, Y. (2001): Detection of Urban Housing Development by Fusing Multisensor Satellite Data and Performing Spatial Feature Post-Classification, International Journal of Remote Sensing, Vol. 22, No. 17, pp. 3339-3355. Zhang, Y. (2000): Method for Completion and Accuracy Improvement of Multispectrally Classified Urban Rivers. Photogrammetric Engineering & Remote Sensing, Vol. 66, No. 8, pp. 991-999. Zhang, Y., C. Vincent Tao and J. Bryan Mercer (2000): Sensitive Analysis of Various Influences on the Planimetric Displacement of Commercial High-Resolution Satellite Imagery. Geomatica. Vol. 54, No. 4, pp. 411-450. Zhang, Y. (1999): Optimization of building detection in satellite data by combining multispectral classification and texture filtering. ISPRS Journal of Photogrammetry & Remote Sensing, Vol. 54 (1) pp. 50-60. Zhang, Y. (1999): A New Method for Merging Multispectral and Mutliresolution Satellite Data and Its Spectral and Spatial Effects. International Journal of Remote Sensing, Vol. 20, No. 10, pp. 2003-2014. Vivek Dey, Bahram Salehi, Yun Zhang, and Ming Zhong (2013): Object-based image analysis for urban studies. In Qihao Weng (eds. ): Global Urban Observation and Information (SB-04), by CRC Press, Taylor & Francis Group. Accepted 2013. Zhang, Y. and Z. Xiong (2010): Image Registration, in Jankowski (ed. ): Encyclopaedias of Geography, SAGE Reference publication. 2010, ISBN: 9781412956970, SAGE Publications, Inc.
Zhang, Y. (2008): Chapter 14: Pan-Sharpening for Improved Information Extraction, In Li, Chen & Baltsavias (eds. ): 2008 ISPRS Congress Book– Spatial Information from Images, pp. 185-202, Taylor & Francis Group, London. Zhang, Y., P. Xie, and H. Li (2007): Chapter 1: An online colour 2D and 3D image system for disaster management, in Li, Zlatanova and Fabbri (eds. ): Geomatics Solutions for Disaster Management, pp. 1-15, Springer, Berlin, Heidelberg, New York. Zhang, Y., and N. Kerle (2007): Satellite remote sensing for real-time data collection and the challenges, in Zlatanova and Li (eds. ): Chapter 4: Geo-Information Technology for Emergency Response, pp. 75-102, Taylor & Francis Group, London, New York. Zhang, Y. and T. Maxwell (2006): Chapter 16: Multi-scale roof mapping using fused multi-resolution optical satellite images, in Merchant & Weng (eds. ): Remote Sensing of Impervious Surfaces, pp. 331-347, CRC Press/Taylor & Francis Group. Cheng, P., T. Toutin, Y. Zhang, and M. Wood (2003): QuickBird ... Geometric Correction, Path and Block Processing, and Data Fusion. Earth Observation Magazine (EOM), May 2003, pp. 24-30. Zhang, Y. (2002): Cover Story: Colour Enhanced Automatic Image Fusion - an Example of IKONOS Images, San Diego. GIM International - The Worldwide Magazine for Geomatics, Vol. 16, No. 8. Zhang, Y. (2002): Automatic Image Fusion: A new Technique for Effectively Sharpening IKONOS Multispectral Images. GIM International - The Worldwide Magazine for Geomatics, Vol. 16, No. 5, pp. 54-57. Shabnam Jabari & Yun Zhang (2017): Application of Sensor Fusion to Improve UAV Image Classification. International Conference on Unmanned Aerial Vehicles in Geomatics (UAV-g), Bonn, Germany, September 4-7, 2017. Essam Sharaf El Din & Yun Zhang (2017): Statistical Estimation of the Saint John River Water Quality Using Landsat8 multispectral Data, ASPRS Annual Conference: IGTF 2017, Baltimore, USA, March 13-17, 2017. Essam Sharaf El Din & Yun Zhang (2017): Neural Network Modeling of the Saint John River Sediments and Dissolved Oxygen Content from Landsat OLI Imagery, ASPRS Annual Conference: IGTF 2017, Baltimore, USA, March 13-17, 2017. Fatemeh Fathollahi & Yun Zhang (2017): Improving Spectral Quality Assessment of The Pan-Sharpened Images using IHS-based SAM and SCM, ASPRS Annual Conference: IGTF 2017, Baltimore, USA, March 13-17, 2017. Fatemeh Fathollahi & Yun Zhang (2017): Improving the Colour Distortion of the Hyperspectral Pan-Sharpening by Incorporating More Spectral Bands, ASPRS Annual Conference: IGTF 2017, Baltimore, USA, March 13-17, 2017. Mohammad Rezaee & Yun Zhang (2017): Detecting Road and Building using a fully convolutional network in aerial images, ASPRS Annual Conference: IGTF 2017, Baltimore, USA, March 13-17, 2017. Mohammad Rezaee & Yun Zhang (2017): Road and Building detection using a patch-based deep network for aerial images, ASPRS Annual Conference: IGTF 2017, Baltimore, USA, March 13-17, 2017. Mohammad Rezaee & Yun Zhang (2017): Road Detection Using Deep Neural Network in High Spatial Resolution Images. Joint Urban Remote Sensing Event (JURSE 2017), Dubai, March 6-8, 2017. Alaeldin Suliman & Yun Zhang (2017): An Efficient Approach for Image-DSM Co-Registration for Urban Building Extraction. Joint Urban Remote Sensing Event (JURSE 2017), Dubai, March 6-8, 2017. Alaeldin Suliman & Yun Zhang (2016): Extracting Accurate Building Information from Off-Nadir VHR Images, GIScience 2016, Montreal, Sept 27 - 30, 2016. A Suliman, Y Zhang, and R Al-Tahir (2016): Slope-based Terrain Filtering for Building Detection in Remotely Sensed VHR Images, IGARSS 2016, Beijing, July 10 -15, 2016. Yun Zhang, William Liu, David Fraser, and Marcel Dombrowski (2016): EarthView3D: dynamically creating and visualizing the earth in 3D, 6th Digital Earth Summit, Beijing, China, 7-8 July 2016. Yun Zhang, David Fraser, William Liu, and Marcel Dombrowski (2016): EarthView3D: the next generation online 3D mapping system, 6th Digital Earth Summit, Beijing, China, 7-8 July 2016. Alaeldin Suliman and Yun Zhang (2016): Extracting Accurate Building Information from Off-Nadir VHR Images, GIScience 2016, Montreal, Canada, September 27 to 30, 2016. A. Suliman, Y. Zhang, R. Al-Tahir (2016): Co-registering and Normalizing Stereo-Based Elevation Data to Support Building Detection in VHR Images. ASPRS 2016 Annual Conference: Imaging & Geospatial Technology Forum (IGTF 2016), Fort Worth, Texas USA, April 11 - 15, 2016. A. Suliman, Y. Zhang, R. Al-Tahir (2016): Slope-Based Terrain Filtering for Building Detection in Remotely Sensed VHR Images. ASPRS 2016 Annual Conference: Imaging & Geospatial Technology Forum (IGTF 2016), Fort Worth, Texas USA, April 11 - 15, 2016. Dai, Qinling, Leiguang Wang, Qizhi Xu, Yun Zhang (2014): A mean shift algorithm with adaptive bandwidth and weight selection for high spatial remotely sensed imagery segmentation. IEEE IGARSS 2014, Quebec, Canada July 13-18, 2014. Suliman, Alaeldin, and Yun Zhang (2014): Integration of off-nadir VHR imagery and elevation data for advanced information extraction, IEEE IGARSS 2014, Quebec, Canada July 13-18, 2014. Jabari, Shabnam, Yun Zhang, and Alaeldin Suliman (2014): Stereo-based building detection in very high resolution satellite imagery using IHS color system, IEEE IGARSS 2014, Quebec, Canada July 13-18, 2014. Rezaee, Mohammad, Amir Abouhamzeh, and Yun Zhang (2014): A heuristic land-cover based image enhancement for satellite imageries, IEEE IGARSS 2014, Quebec, Canada July 13-18, 2014. Jabari, Shabnam, and Yun Zhang (2014): Stereo Based Very High-resolution Satellite Image Classification using RPCs, ASPRS 2014 Annual Conference, Louisville, Kentucky USA, March 23-28, 2014. Mishra, Rakesh Kumar, and Yun Zhang (2014): Performance Evaluation of Pan-sharpening techniques on HR Satellite imagery, ASPRS 2014 Annual Conference, Louisville, Kentucky USA, March 23-28, 2014. Rakesh Kumar Mishra, and Yun Zhang (2014): Advanced Image Processing Using Image I/O-Ext and Java Advanced Imaging (JAI), ASPRS 2014 Annual Conference, Louisville, Kentucky USA, March 23-28, 2014. Jabari, Shabnam, and Yun Zhang (2014): Building Detection in Very High Resolution Satellite Image Using IHS Model, ASPRS 2014 Annual Conference, Louisville, Kentucky USA, March 23-28, 2014. Xu, Qizhi, Yun Zhang and Bo Li, (2014): Hyperspectral image pansharpening for photo analysis by ratio enhancement, The Third International Workshop on Earth Observation and Remote Sensing Applications (EORSA 2014), Changsha, China, June 11-14, 2014. Mousavi, S. Emad, Yun Zhang, Amir Abouhamzeh, (2013): Investigating Web Processing Service (WPS) platforms for raster analysis and raster calculation purposes, Joint CIG Annual Conference and EOGC’2013, Toronto, Canada, June 05 -07, 2013. Mishra, R.K., Y. Zhang (2013): Performance Evaluation of Pan-sharpening techniques on HR satellite imagery. Joint CIG Annual Conference and EOGC’2013, Toronto, Canada, June 05 -07, 2013. Wang, JJ, Y. Zhang and C. Bussink, (2013): Remote Sensing of Opium Poppy Fields Using EO-1 Hyperion Hyperspectral Data: an Example in Afghanistan. Joint CIG Annual Conference and EOGC’2013, Toronto, Ontario, Canada, June 5-7, 2013. Beykaei, S.A., M. Zhong and Y. Zhang (2013): Development of a Parcel-Based Residential Land Use Extraction System Using Very High Resolution Aerial Imagery and LiDAR Data. The CSCE 2013 General Conference, Montreal, Canada, May 29 – June 1, 2013. Mishra, R.K., Y. Zhang (2013): Moving target detection using single pass WorldView-2 satellite imagery. Proc. of ASPRS 2013 Annual Conference, Baltimore, Maryland, March 24-28, 2013. Mishra, R.K., Y. Zhang (2013): Remote sensing image processing using Java Advanced Image (JAI). Proc. of ASPRS 2013 Annual Conference, Baltimore, Maryland, March 24-28, 2013. Beykaei, S.A, M. Zhong, and Y. Zhang (2013): Development of an Automatic Land Use Extraction System in Urban Areas using VHR Aerial Imagery and GIS Vector Data. The 12th International Conference on Traffic and Transportation Engineering, Tehran, Iran, 19-20 February 2013. Zhang, Y. and R.K. Mishra (2012): A review and comparison of commercially available pan-sharpening techniques for high resolution satellite image fusion. Proceedings of IEEE IGARASS 2012, Munich, Germany, July 22-27, pp.182-185. Salehi, B., Y. Zhang, M. Zhong (2012): Object-based moving vehicle extraction from WorldView-2 imagery. In Proc. of ASPRS 2012 Annual Conference, Sacramento, California. Salehi, B., Y. Zhang, M. Zhong (2012): The effect of four new multispectral bands of WorldView2 on improving urban land cover classification. In Proc. of ASPRS 2012 Annual Conference, Sacramento, California. Khiabani, S.A., and Y. Zhang (2012): Review and experiment of the different methods for moving object extraction from a live video. In Proc. of ASPRS 2012 Annual Conference, Sacramento, California. Khiabani, S.A., and Y. Zhang (2012): Improvement of background subtraction method for real time moving object detection. In Proc. of ASPRS 2012 Annual Conference, Sacramento, California. Mishra, R.K. and Y. Zhang (2012): Moving Vehicle Extraction from One-Pass WorldView-2 Satellite Imagery. The 13th GSDI World Conference, Québec City, Canada, May 14 - 17, 2012. Mishra, R.K. and Y. Zhang (2012): Automatic Vehicle Detection and Speed Computation from One-pass WorldView-2 Satellite Imagery. The 13th GSDI World Conference, Québec City, Canada, May 14 - 17, 2012. Beykaei, A., M. Zhong, and Y. Zhang (2012): Spatial Arrangement and Morphological Analyses for Extracting Urban Subzonal Land Uses using Very high Resolution Imagery. The 9th International Transportation Specialty Conference, Edmonton, Canada, June 6 -9, 2012. Beykaei, S. Ahad, Ming Zhong, and Yun Zhang (2012): Analyzing Fuzzy Logic, Logistic-Decision Tree, and Neural Network Classification for Extracting Subzonal Land Uses from Remote Sensing Imagery. The 91st Annual Meeting of Transportation Research Board, Jan 22-26, 2012, Washington, D.C.
Beykaei, A., M. Zhong, and Y. Zhang (2011): Establishing a GIS/RS System for Urban Subzonal Land Use Extractions using Very High Resolution Imageries. Computers in Urban Planning and Urban Management 2011 Conference, Lake Louise, Alberta, Canada. July 5 - 8, 2011. Zhang, Y. (2011): An automated, information preserved and computational efficient approach to adjustable SAR-MS fusion. IEEE IGARSS 2011, Vancouver, Canada, July 25-29, 2011. Dey, V., Y. Zhang, T. Maxwell, H.J. Tong, Multi-level segmentation for building extraction from very high resolution urban imagery. IEEE IGARSS 2011, Vancouver, Canada, July 25-29, 2011. Jabari, S. and Y. Zhang (2011): Implementation of Fuzzy Logic in Canny Edge Detection Method. 32nd Canadian Symposium on Remote Sensing, June 13 to 16, 2011, Sherbrooke, Québec, Canada. Dey, V., Y. Zhang, M. Zhong (2011): Building Detection Using Multi-level Segmentation with A Fuzzy Region Merging Criteria. 32nd Canadian Symposium on Remote Sensing, June 13 to 16, 2011, Sherbrooke, Québec, Canada. Mishra, R.K. and Y. Zhang (2011): Object-Oriented Approach for Remote Sensing Image Processing using Java Advanced Imaging. 32nd Canadian Symposium on Remote Sensing, June 13 to 16, 2011, Sherbrooke, Québec, Canada. Khiabani, S.A. and Y. Zhang (2011): Depth extraction of a moving object using a very narrow angle set of cameras. 32nd Canadian Symposium on Remote Sensing, June 13 to 16, 2011, Sherbrooke, Québec, Canada. Ahmad, A. and Y. Zhang (2011): Development and challenges of applying the Universal Triangle Relationship Method in remote sensing applications. 32nd Canadian Symposium on Remote Sensing, June 13 to 16, 2011, Sherbrooke, Québec, Canada. Salehi, B., Y. Zhang, and V. Dey (2011): A hierarchical rule based urban land cover classification of WorldView-2 imagery. Proc. of 32th Canadian Symposium on Remote Sensing, June 13 to 16, 2011, Sherbrooke, Québec, Canada. Zhong, M., Y. Zhang, Beykaei, A., Salehi, B., Ircha, M., Gweon, Y. and Gao, S. Extracting Urban Land Cover/Use from Remotely Sensed Imagery: Potentials for Urban Planning, Paper accepted for publishing in the proceedings of 2010 International Conference for Traffic and Transport Studies (ICTTS) (referred conference), Kunming, China, August 3 - 5, 2010. Beykaei, M. Zhong, A., Y. Zhang, Salehi, B., Ircha, M., Gweon, Y. and Gao, S. Evaluating the Accuracy of Extracting Urban Land Cover from Remotely Sensed Imagery. Paper accepted for publishing in the proceedings of 2010 Canadian Society for Civil Engineer (CSCE), Winnipeg, Canada, June 9 - 12, 2010. Zhang, Y., T. Maxwell, H. Tong, V. Dey (2010): Development of a supervised software tool for automated determination of optimal segmentation parameters for eCognition. ISPRS Commission VII Symposium: 100 Years ISPRS - Advancing Remote Sensing Science, Vienna, Austria, July 5 - 7, 2010. Xiong, Z., and Y. Zhang (2010): A New Strategy for DSM Generation from High Resolution Stereo Satellite Images Based on Control Network Interest Point Matching. ISPRS Commission VII Symposium: 100 Years ISPRS - Advancing Remote Sensing Science, Vienna, Austria, July 5 - 7, 2010. Zhang, Y., H.J. Tong, Z. Xiong, and H. Li (2009): Satellite images for colour 3D generation and online visualization. The 6th International Symposium on Digital Earth, Sept 9-12, 2009, Beijing, China. Tong, H.J., and Y. Zhang (2009): 3D Remote Sensing Images Online Refining. The 17th International Conference on Geoinformatiocs, Aug.12-14, 2009 Fairfax, USA. Xiong, Z. and Y. Zhang (2009): Study on Corner and Center for Image Registration. ASPRS 2009 Annual Conference, Baltimore, MD, March 8 - 13, 2009. Xiong, Z. and Y. Zhang (2009): Control Network Based Interest Point Matching in Highly Woody Images. ASPRS 2009 Annual Conference, Baltimore, MD, March 8 - 13, 2009. Deng, N.W., A. Szostak-Chrzanowski, Y. Zhang, and J.G. Wang (2008): Overview of Dynamic Models Used in Dam Deformation Analysis, International Conference on Dam Safety Management, October 22-24, 2008, Nanjing, China. Zhang, Y. (2008): Methods for image fusion quality assessment - a review, comparison and analysis. The XXI ISPRS Congress, Beijing, July 3 -11, 2008. Published in The International Archives of the Photogrammetry, Remote Sensing and Spatial Information Sciences. Vol. XXXVII. Part B7. p. 1101. Gweon, Y. and Y. Zhang (2008): Change Detection for Aerial Photo Database Update. The XXI ISPRS Congress, Beijing, July 3 -11, 2008. Published in The International Archives of the Photogrammetry, Remote Sensing and Spatial Information Sciences. Vol. XXXVII. Part B7. p. 927. Wuest, B., and Y. Zhang (2008): Region Based Segmentation of QuickBird Imagery through Fuzzy Integration. The XXI ISPRS Congress, Beijing, July 3 -11, 2008. Published in The International Archives of the Photogrammetry, Remote Sensing and Spatial Information Sciences. Vol. XXXVII. Part B7. p. 491. Tong, H.J., Y. Zhang and Z.F. Shao (2008): Distributed Spatial Information Integration Based on Web Service, The 16th International Conference on Geoinformatics, June 28-29, 2008, Guangzhou, China. Deng, N., A. Chrzanowski, A. Szostak-Chrzanowski, and Y. Zhang (2008): Instruction and analysis of commonly used non-parametric models of dam deformation in China". Proceedings of 13th FIG and 4th IAG conference on "measuring the changes", page 112 to 119. Wuest, B., and Y. Zhang (2008): Supervised Region-Based Segmentation of QuickBird Multispectral Imagery. Proceedings of IGRASS 2008, Boston, USA, July 6-11, 2008. Amolins, K., Y. Zhang, and P. Dare (2008): Classification of LIDAR Data Using Standard Deviation of Elevation and Characteristic Point Features. Proceedings of IGRASS 2008, Boston, USA, July 6-11, 2008. Gweon, Y. and Y. Zhang (2008): Object-oriented Classification for Change Detection with Different Spatial Resolution Images. Proceedings of IGRASS 2008, Boston, USA, July 6-11, 2008. Tong, H.J., Y. Zhang, and Z.F. Shao (2008): Distributed Spatial Information Integration Based on Web Service, The 16th International Conference on Geoinformatics, June 28-29, 2008, Guangzhou, China. Silva, D.C., and Y. Zhang (2007): Analysis of Methods for Elimination of Shadows in Digital Images. II Simpósio Brasileiro de Geomática Presidente Prudente, Sept 24-27 2007. Zhang,Y., P. Xie, and H. Li (2007): Data fusion and integration for multi-resolution online 3D environmental monitoring, ISPRS Workshop on Updating Geo-spatial Databases with Imagery & The 5th ISPRS Workshop on DMGISs, August 28-29, 2007, Urumchi, Xinjiang, China. Hong, G., Y. Zhang, A. Zhang, F. Zhou, J. Li (2007): Fusion of MODIS and Radarsat data for crop type classification - an initial study, ISPRS Workshop on Updating Geo-spatial Databases with Imagery & the 5th ISPRS Workshop on DMGISs, August 28-29, 2007, Urumchi, Xinjiang, China. Xiong, Z. and Y. Zhang (2007): Automated Vehicle Information Extraction from One Pass of QuickBird Imagery, WG II/1, VII/6+7 joint Conference on Techniques & Applications of Optical & SAR Imagery Fusion 'Mapping without the Sun', 25-27 Sept 2007. Xiong, Z. and Y. Zhang (2007): Study on Tie Point Selection for Co-Registration of Different Resolution Imagery, WG II/1, VII/6+7 joint Conference on Techniques & Applications of Optical & SAR Imagery Fusion 'Mapping without the Sun', 25-27 Sept 2007. Hong, G. and Y. Zhang (2007): The Combination of Feature-based and Area-based Image Registration Techniques for High Resolution Remote Sensing Image, IGARSS 2007, July 23-27, 2007, Barcelona, Spain. Ghayourmanesh, S. and Y. Zhang (2007): Shape from Shading of SAR Imagery in Fourier Space, IGARSS 2007, July 23-27, 2007, Barcelona, Spain. Maxwell, T. and Y. Zhang (2007): A Fuzzy Logic Based Solution for Supervised Image Segmentation, IGARSS 2007, July 23-27, 2007, Barcelona, Spain. Silva, D.C. and Y. Zhang (2007): Analysis of Methods for Elimination of Shadows in Digital Images, II Simpósio Brasileiro de Geomática Presidente Prudente - SP, 24-27 de julho de 2007. Hong, G. and Y. Zhang (2007): The Combination of Feature-based and Area-based Image Registration Techniques for High Resolution Remote Sensing Image, IGARSS 2007, 23-27 July 2007, Barcelona, Spain. Ghayourmanesh, S. and Y. Zhang (2007): Shape from Shading of SAR Imagery in Fourier Space, IGARSS 2007, 23-27 July 2007, Barcelona, Spain. Maxwell, T. and Y. Zhang (2007): A Fuzzy Logic Based Solution for Supervised Image Segmentation, IGARSS 2007, 23-27 July 2007, Barcelona, Spain. Zhang, Y., P. Xie and H. Li (2007): Data fusion and integration for multi-resolution online 3D environmental monitoring, Workshop on Updating Geo-spatial Databases with Imagery & the 5th ISPRS Workshop on DMGIS, August 28-29, 2007, Urumchi, Xingjiang, China. Zhang, Y., P. Xie, and H. Li (2007): Multi-scale colour 3D satellite imagery and global 3D Web mapping, Urban Remote Sensing Joint Event 2007, April 11-13, Paris, France. Amolins, K., Y. Zhang and P. Dare (2007): Applications of wavelet transforms in image fusion, Urban Remote Sensing Joint Event 2007, April 11-13, Paris, France. Zhang, Y., P. Xie, and H. Li (2007): Multi-scale colour 3D satellite imagery and global 3D Web mapping, IEEE/ISPRS Joint Event, 2007 Urban Remote Sensing, April 11-13, 2007, Paris, France. Amolins, K., Y. Zhang and P. Dare (2007): Applications of wavelet transforms in image fusion, , IEEE/ISPRS Joint Event, 2007 Urban Remote Sensing, April 11-13, 2007, Paris, France. Lavigne, D.A., G. Hong and Y. Zhang (2006). Performance Assessment of Automatic Feature Extraction Tools on High Resolution Imagery, MAPPS/ASPRS 2006 Fall Conference, November 6-10, 2006, San Antonio, Texas. Xiong, Z. and Y. Zhang (2006). Extraction of Attitude parameters of moving Target from a Single Set of High Resolution Satellite Imagery, MAPPS/ASPRS 2006 Fall Conference, November 6-10, 2006, San Antonio, Texas. Zhang, Y. and Z. Xiong (2006): Moving vehicle detection using a single set of QuickBird imagery-An initial study, ISPRS Commission VII, Mid-Term Symposium, Enschede, the Netherlands, May 8-11, 2006. Zhang, Y. and T. Maxwell (2006): A trained segmentation technique for optimization of object-oriented classification, ISPRS Commission VII, Mid-Term Symposium, Enschede, the Netherlands, May 8-11, 2006. Zhang, Y., P. Xie, and H. Li (2006): Data fusion for multi-scale colour 3D satellite image generation and global 3D visualization, ISPRS Commission VII, Mid-Term Symposium, Enschede, the Netherlands, May 8-11, 2006. Ghayourmanesh, S., and Y. Zhang (2006): Terrain Anomaly Reconstruction in a Single Fully Polarized SAR Data, ASPRS 2006 Annual Conference, Reno, Nevada, May 1-5, 2006. Xiong, Z., and Y. Zhang (2006): AN INITIAL STUDY OF MOVING TARGET DETECTION BASED ON A SINGLE SET OF HIGH SPATIAL RESOLUTION SATELLITE IMAGERY, ASPRS 2006 Annual Conference, Reno, Nevada, May 1-5, 2006. Xiong, Z., and Y. Zhang (2006): AUTOMATIC 3D BUILDING EXTRACTION FROM STEREO IKONOS IMAGES, ASPRS 2006 Annual Conference, Reno, Nevada, May 1-5, 2006. Zhang, Y., and T. Maxwell (2006): A Fuzzy Logic Approach to Supervised Segmentation for Object-Oriented Classification, ASPRS 2006 Annual Conference, Reno, Nevada, May 1-5, 2006. Hong, G., Y. Zhang, D.A., Lavigne (2006): OBJECT-BASED CHANGE DETECTION IN HIGH RESOLUTION IMAGE, ASPRS 2006 Annual Conference, Reno, Nevada, May 1-5, 2006. Hong, G., Y. Zhang, and D.A. Lavigne (2006): Comparison of Car Extraction Techniques for High Resolution Airborne Images, 1st EARSeL Workshop of the SIG Urban Remote Sensing, Berlin, 2-3 March 2006. Hassan, Q.K., C. Bourque, F.R. Meng, P. Arp, D. MacLean, and Y. Zhang (2006): Net Daytime Carbon Dioxide Fluxes Over Eastern Canadian Forests: An Application of MODIS Imagery, IEEE/IGARSS 2006, Nenver, Colarado, July 31- August 4, 2006. Mayunga, S.D., D. Coleman, Y. Zhang (2005): SEMI-AUTOMATIC BUILDING EXTRACTION UTILIZING QUICKBIRD IMAGERY. Joint Workshop of ISPRS and the German Association for Pattern Recognition, Object Extraction for 3D City Models, Road Databases and Traffic Monitoring, Vienna, Austria, 29-30 August 2005. Ghayourmanesh, S. and Y. Zhang (2005): Extraction of elevation information from multi-polarization SAR image data. Proceedings of SPIE 50th Annual Meeting - Optics & Photonics 2005, San Diego, California, USA, 31 July - 4 August 2005. Maxwell, T., and Y. Zhang (2005): A fuzzy logic approach to optimization of segmentation of object-oriented classification. Proceedings of SPIE 50th Annual Meeting - Optics & Photonics 2005, San Diego, California, USA, 31 July - 4 August 2005. Zhang, Y. (2005): Improvement of imaging sensitive of frame colour digital sensors by integrating fusion techniques. Proceedings of SPIE 50th Annual Meeting - Optics & Photonics 2005, San Diego, California, USA, 31 July - 4 August 2005. Zhang, Y., G. Hong, J.B. Mercer, D. Edwards, and J. Maduck (2005): A Wavelet Approach for the Fusion of Radar Amplitude and Optical Multispectral Images. The 9th World Multi-Conference on Systemics, Cybernetics and Informatics (SCI2005), July 10-13, 2005, Orlando, Florida, USA. Ghayourmanesh, S. and Y. Zhang (2005): The relationship between SAR backscatter and local incidence angle. CIG 98th Annual Conference, Ottawa, Canada, June 13-15, 2005. Li, H., P. Xie, and Y. Zhang (2005): 3D Satellite Image Scene XML Modeling. CIG 98th Annual Conference, Ottawa, Canada, June 13-15, 2005. Xie, P., Y. Zhang, and H. Li (2005): A New Technique for High Resolution Satellite 3D Image Web Visualization. CIG 98th Annual Conference, Ottawa, Canada, June 13-15, 2005. Mayunga, S.D., Y. Zhang, and D. Coleman (2005): NEW APPLICATIONS OF SEMI-AUTOMATIC BUILDING EXTRACTION FOR SUSTAINABLE MANAGEMENT OF INFORMAL SETTLEMENT AREAS, CIG 98th Annual Conference, Ottawa, Canada, June 13-15, 2005. Mercer, B., D. Edwards, H. Gang, Y. Zhang, and J. Maduck (2005). Fusion of InSAR High Resolution Imagery and Low Resolution Multi-Spectral Optical Imagery. ISPRS Hannover Workshop 2005. Mayunga, D., Y. Zhang, and D. Coleman (2005). Extraction of Buildings in Informal Settlement Areas from High-Resolution satellite data. ASPRS Annual Conference, March 7-11, 2005. Hong, G. and Y. Zhang (2005): An Image Registration Technique of High Resolution Remote Sensing Image in Hilly Area. IEEE/ISPRS 3rd International Symposium Remote Sensing and Data Fusion Over Urban Areas (URBAN 2005), Tempe, Arizona, USA, March 14-16, 2005. Hong, G. and Y. Zhang (2005): Radiometric Normalization of Multisensor Multispectral Very High Resolution Satellite Images, IEEE/ISPRS 3rd International Symposium Remote Sensing and Data Fusion Over Urban Areas (URBAN 2005), Tempe, Arizona, USA, March 14-16, 2005. Mayunga, D., Y. Zhang, and D. Coleman (2004). Application of Snakes for Building Extraction in Informal Settlements Using QuickBird Imagery. Proceedings of the 5th conference of the African Association of Remote Sensing of the Environment, October 17-22, 2004, Nairobi, Kenya. Zhang, Y. (2004): Problems in image fusion and the breakthrough solution. Proceedings of the Chinese Remote Sensing Conference 2004, 25-27 August 2004, Chendu, China, pp. 361-367. Ghayourmanesh, S. and Y. Zhang (2004): SPOT 5 HRS Study: Automatic DEM Extraction - Regions 1 (Montmirail, France) and 7 (Rasht, Iran), Proceedings of XXth ISPRS Congress, Commission I, 12-24 July 2004, Istanbul, Turkey, pp. 540-551. Hong, G. and Y. Zhang (2004): Effects of Different Types of Wavelets on Image Fusion. Proceedings of XXth ISPRS Congress, Commission III, 12-24 July 2004, Istanbul, Turkey, pp. 915-920. Hong, G., Y. Zhang, D. Fraser (2004). A new image registration technique in urban change detection. Proceedings of ASPRS 2004 Annual Conference, May 23-28, 2004, Denver, Colorado. Zhang, Y. and G. Hong (2004). Improvement of image fusion quality by integrating wavelet transform into band substitution fusion techniques. Proceedings of ASPRS 2004 Annual Conference, May 23-28, 2004, Denver, Colorado. Zhang, Y. and P. Xie (2004). Automatic image fusion and Web-based automatic colour 3D visualization. Proceedings of ASPRS 2004 Annual Conference, May 23-28, 2004, Denver, Colorado. Zhang, Y. and P. Xie (2004): Fast and Low-Cost Natural Colour 3D Image Mapping and Its Web Visualization. Proceedings of the 4th International Symposium on Mobile Mapping Technology, by ISPRS, FIG, IAG, 29-31 March 2004, Kunming, China. Zhang, Y. and P. Xie (2003): Web-based Natural Colour 3D Visualization of Urban Environment Using Stereoscopic Satellite Images. Proceedings of ISPRS Workshop on Spatial Analysis and Decision Making, 3-5 Dec. 2003, Hong Kong. Cheng, P. Th. Toutin Y. Zhang (2003): QuickBird - Geometric Correction, Data Fusion, and Automatic DEM Extraction. Proceedings of the 24th ACRS 2003, 3-7 Nov. 2003, Busan, Korea. Xie, P. and Y. Zhang (2003): 3D Visualization System for High Resolution Satellite Stereo Images. ISPRS Joint Workshop on "Spatial, Temporal and Multi-Dimensional Data Modelling and Analysis, October 2-3, 2003, Quebec City, Canada. Wang, R. and Y. Zhang (2003): Extraction of Urban road Network Using Pan-sharpened Multispectral and Panchromatic Imagery by Performing Edge-Aided Post-Classification. ISPRS Joint Workshop on "Spatial, Temporal and Multi-Dimensional Data Modelling and Analysis, October 2-3, 2003, Quebec City, Canada. Wang, R. and Y. Zhang (2003): Semi-Automated Road Extraction from QuickBird Imagery. ISPRS Joint Workshop on "Spatial, Temporal and Multi-Dimensional Data Modelling and Analysis, October 2-3, 2003, Quebec City, Canada. Pegler, K., D.J. Coleman, R.P. Pelot, and Y. Zhang (2003): Comparison Of Distance Metrics For Use Within A Marine Recreational Vessel Reconnaissance System. Proceedings of SPIE Annual Meeting 2003, 3-8 August 2003, San Diego, California, USA. Hong, G., and Y. Zhang, (2003): High-resolution image fusion based on wavelet and IHS transformations. Proceedings of 2nd IEEE GRSS / ISPRS Joint Workshop on "Data Fusion and Remote Sensing over Urban Areas", May 22 - 23, 2003, Berlin, Germany, pp. 99-104. Burbridge, S. and Y. Zhang, (2003): A neural network based approach to detecting urban land cover changes using Landsat TM and IKONOS imagery. Proceedings of 2nd IEEE GRSS / ISPRS Joint Workshop on "Data Fusion and Remote Sensing over Urban Areas", May 22 - 23, 2003, Berlin, Germany, pp. 157-161. Zhang, Y. (2002): Problems in the fusion of commercial high-resolution satelitte images as well as Landsat 7 images and Initial solutions. International Archives of Photogrammetry and Remote Sensing (IAPRS), Volume 34, Part 4, ISPRS, CIG, SDH Joint International Symposium on "GeoSpatial Theory, Processing and Applications", Ottawa, Canada, July 8-12, 2002. Zhang, Y. (2002): Natural colour 3D from the Space: An approach to generating 1m colour anaglyph imagery using IKONOS multispectral and panchromatic data. IEEE/IGARSS'02, Toronto, Canada, June 24-28, 2002. Zhang, Y. (2002): A New Automatic Approach for Effectively Fusing Landsat 7 images and IKONOS Images. IEEE/IGARSS'02, Toronto, Canada, June 24-28, 2002. Pegler, K., D.J. Coleman, R. Pelot, and Y. Zhang (2002): IKONOS sub-pixel target detection for use in marine search and rescue. Proceedings of the XXII FIG International Congress and ACSM-ASPRS Conference and Technology Exhibition, Washington D.C., April 2002. Zhang, Y. (2001): A spectral and spatial information integrated approach for object extraction from high-resolution digital imagery. Second Digital Earth Conference, Fredericton, Canada, June 24-28, 2001. Zhang, Y. (2001): ESVR algorithm for fusion of IKONS 1 m panchromatic and 4 m multispectral images. Second Digital Earth Conference, Fredericton, Canada, June 24-28, 2001. Zhang, Y., C. V. Tao, and J. B. Mercer (2001): Result analysis of an automatic software for ground Digital Elevation Model reconstruction. Second Digital Earth Conference, Fredericton, Canada, June 24-28, 2001. Tao, C.V., Wang, Y., Mercer, B, and Zhang, Y. (2001): Automatic Generation of Bald Earth Model from Digital Terrain Model, Proceedings of ISPRS Workshop on 3D Mapping from InSAR and Lidar (CD-ROM), Banff, Canada, June 11-13, 2001. Tao, C. V., Y. Wang, J. B. Mercer and Y. Zhang (2001): Automatic Bald Terrain Model Reconstruction from Digital Surface Data Acquired from An Airborne SAR System. ASPRS 2001 Annual Conference, St. Louis, Missouri, April 23-27, 2001. Rawlinson, S., Y.C. Lee, and Y. Zhang (2001): Development of a software prototype for the geo-referencing and visualization of non-metric close range Photogrammetry in a GIS environment. ASPRS 2001 Annual Conference, St. Louis, Missouri, April 23-27, 2001. Tao, C.V., Y. Wang, J.B. Mercer, and Y. Zhang, (2001): Automatic Reconstruction of Bald Digital Terrain Models from Digital Surface Models Generated from an Airborne SAR System, The 3rd International Symposium on Mobile Mapping Technology, Cairo, Egypt, 3-5 January 2001. Tao, C.V. and Y. Zhang (1999): New Developments on Airborne Remote Sensing Technologies for Surveying and Mapping. Asian Conference on Remote Sensing, 22-25 Nov. 1999, Hong Kong. Zhang, Y. (1998): Detection of Urban Housing Development Using Multisensor Satellite Data and Maps. International Archives of Photogrammetry and Remote Sensing, Vol. 32, Part 3/1, pp. 292-299. Lehmann, F., T. Bucher, S. Hese, A. Hoffmann, S. Mayer, F. Oschütz, and Y. Zhang (1998): Data Fusion of HYMAP Hyperspectral with HRSC-A Multispectral Stereo Data: Remote Sensing Data Validation and Application in Different Disciplines. Proceedings of the 1st EARSeL Workshop on Imaging Spectroscopy, Zurich, Switzerland, 6-8 Oct 1998, pp. 105-117. Lehmann, F., T. Bucher, S. Hese, A. Hoffmann, S. Mayer, F. Oschütz, and Y. Zhang (1998): Kombination von hyperspektralen HYMAP-Daten und HRSC Multispektral- und DTM-Daten zur Validierung und Nutzung in verschiedenen Anwendungsgebieten. Proceedings of DGPF-Tagung, Photogrammetrie und Fernerkundung - Globale und lokale Perspektiven, Munich, 14-16 Oct 1998. Zhang, Y. and J. Albertz (1997): Comparison of four different methods to merge multisensor and multiresolution satellite data for the purpose of mapping. Proceedings of the Joint Workshop 'Imaging Sensors and Mapping from Space', ISPRS, Hannover, Germany, Sep. 1997, pp. 275-287. Zhang, Y. (1997): Information System for Monitoring Urban Environment Based on Satellite Remote Sensing. Proceedings of the International Geoscience and Remote Sensing Symposium (IGARSS'97), IEEE/IGRSS, Singapore, 3-8 Aug. 1997. Y. Zhang (2014): CFI - Cyber-infrastructure Workshop. Total 20 invitees, discussing the structure, strategy and policy of Canadian cyber-infrastructure funding allocation. Y. Zhang (2012): From Idea to Research, Innovation and Commercialization—Successful Outcomes of the CRC Research Lab in Advanced Geometics Image Processing at UNB. The 10th Canada-Taiwan Conference on Higher Education, Taoyuan, Taiwan, 16-19 October, 2012. Invited by the Ministry of Education of Republic of China (Taiwan). Y. Zhang (2011): Research outcomes of the CRC Research Lab in Advanced Geomatics Image Processing and their applications, MDA Systems Ltd., July 28, 2011. Y. Zhang (2011): Image fusion: principles, results and development trends.The 2011 International Symposium on Image and Data Fusion, 9-11 August 2011, Tengchong, Yunnan, China. Y. Zhang, (2011): Next Generation Triple-Sensitive Color Cameras, to HTC Executive Team, at MarketLink com, San Diego, June 16, 2011. Y. Zhang, (2011): Advanced Remote Sensing Image Processing Technologies, MDA Systems Ltd., January 24, 2011. Y. Zhang (2010): Advanced Automated Image Matching. The New Brunswick Innovation Forum, St. John, Canada, Oct 5-6, 2010. Y. Zhang, (2010): Mathematics and research successes in remote sensing image processing, UNB Math Department, Nov 17, 2010. Zhang, Y. (2009): Image Fusion – From UNB-Pansharp to Adjustable SAR-MS Fusion, International Conference on Geo-spatial Solutions for Emergency Management, September 14-16, 2009, Beijing, China. Zhang, Y. (2009): New technology developments at UNB, Workshop of Foreign Comparative Testing (FCT) Program, Office of the Secretary of Defense of the US, Halifax, May 5th-6th, 2009. Zhang, Y. (2009): From Idea to Innovation – Development of New Remote Sensing Technologies, Beijing University, Sept 17, 2009. Zhang, Y. (2009): Innovation in Remote Sensing Technologies, Center for Earth Observation and Digital Earth, Chinese Academy of Sciences (CAS), Sept 18, 2009. Zhang, Y. (2009): New Remote Sensing Technologies, Capital Normal University, Beijing, Sept 8, 2009. Zhang, Y. (2009): From Research to Industry Technologies, Eastdawn Inc., Beijing, Sept 16, 2009. Zhang, Y. (2009): High Resolution Remote Sensing Image Processing -- from Research to World-Leading Technologies, The State Key Laboratory of Information Engineering in Surveying, Mapping and Remote Sensing (LIESMARS), Wuhan, China, June 5, 2009. Zhang, Y. and P.J. Li (2009): Pre-conference Workshops: Land-cover Classification using High-resolution Satellite Images, May 25th, The Second Conference on Earth Observation for Global Changes (EOGC2009), Chengdu, China, May 25-29, 2009. Zhang, Y. (2008): Image segmentation of satellite images for urban environment monitoring, East China Normal University, Shanghai, August 27, 2008. Zhang, Y. (2008): High Resolution Satellite Image Processing, Institute of Remote Sensing and GIS, Beijing University, July 10, 2008. Zhang, Y. 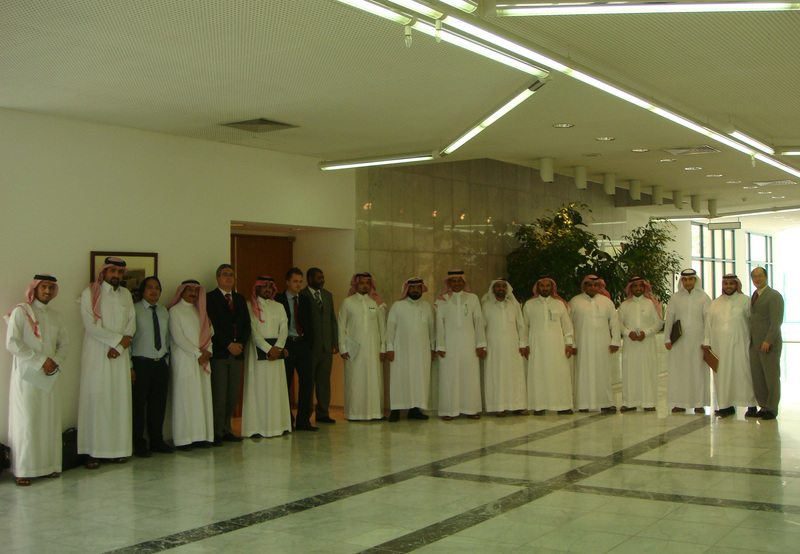 (2008): Remote sensing technologies for change detection and urban planning, the Arriyadh Development Authority (ADA), Saudi Arabia, May 29 to June 2, 2008. Zhang, Y. (2007): Web-I-3D, online 3D mapping today and tomorrow, International Conference on Geoinformatics. Nanjing, China, 26 - 28 May 2007. Zhang, Y. (2007): Latest Technology of Remote Sensing Image processing. Northwest Jiao Tong University, Chengdu, China, August 27, 2007. Zhang, Y. (2006): Image fusion, 3D Web and object–oriented classification, Beijing Forum on Strategies for Geoinformatics Development, organized by Beijing Technology Commission and Chinese Academy, Aug 1-4, 2006. Zhang, Y. (2006): Feature extraction for large scale mapping, National Geomatics Center of China, Beijing, China, July 31 - August 1, 2006. Zhang, Y. (2004): Satellite Imagery. Geomatics Atlantic Conference 2004, organized by CIG, 7-9 June 2004, Fredericton, Canada. Zhang, Y. (2004): Latest remote sensing sensor technologies and the importance of image fusion. National Institute of Remote Sensing Applications, Beijing, China, July 28, 2004. Zhang, Y. (2004): Remote sensing sensors, image fusion techniques and their applications. Beijing Normal University, China, July 27, 2004. Zhang, Y. (2004): Latest image fusion techniques and a breakthrough. Chinese Academy of Surveying and Mapping, Beijing, July 30, 2004. Zhang, Y. (2003): Automatic Fusion of New Satellite Images: IKONOS, QuickBird, and Landsat, From Research to Revenue: A Technology Commercialization Session, organized by L’Université de Moncton and the Atlantic Canada Opportunities Agency (ACOA), in cooperation with the University of New Brunswick and Mount Allison University, March 13, 2003, Delta Beauséjour, Moncton, NB. Zhang, Y. (2003): Potential applications of image fusion, colour enhancement and 2D-3D techniques to military mapping, Mapping and Chart Establishment, Department of National Defense, Ottawa, June 30, 2003. Zhang, Y. (2003): Latest image fusion approaches to pan-sharpening new satellite images, presented at the Institute of Space Sensor and Planet Exploration, German Aerospace Center (DLR), Berlin, May 26, 2003. Zhang, Y. (2002): Remote Sensing Image Processing and Target Detection, presented to General Dynamic of Canada, Invited by Centre for Research & Development Services, UNB, June 4, 2002. Zhang, Y. (2000): 2D/3D Full Color Images. Workshop “From Ideas to the Marketplace”, organized by: The University of New Brunswick and Atlantic Canada Opportunities Agency, Oct. 25, Wu Centre, Fredericton, New Brunswick. Salehi, B., Y. Zhang, R.M. Mishra, (2011): Automatic Moving Vehicle Extraction and Speed Determination from Single Pass WorldView-2 Multispectral Bands. To DigitalGlobe Inc., 17 pages. May 2011. Zhang, Y. (2009): Assessment of use of multispectral medical imagery with UNB image enhancement technologies. To: Annidis Health Systems Corp, Canada, Dec. 11, 2009, 13 p.
Zhang, Y. (2008): Assess the ability to use either Pan-MS imaging fusion algorithm and/or the supervised object segmentation to aid Dendron’s software product development for aerial-based tree species ID. To Dendron Resource Surveys Ltd. Oct. 18, 2008. 22 p.
Hong, G. and Y. Zhang (2007): Potential of the Combination of MODIS and Radarsat Data for Crop Landuse Change Detection. To Canada Centre for Remote Sensing, March 31, 2007. Zhang, Y. and G. Hong (2005): Phase 2 Report: Performance Evaluation of Change Detection Algorithms for Multisensors Airborne/Spaceborne Electro-Optic Images. To Canadian Department of National Defence, Defence R&D Canada – Valcartier, December 31, 2005, 150 p.
Zhang, Y. and G. Hong (2005): Phase 1 Report: Performance Evaluation of Change Detection Algorithms for Multisensors Airborne/Spaceborne Electro-Optic Images. To Canadian Department of National Defence, Defence R&D Canada – Valcartier, March 31, 2005, 60 p.
Maxwell, T. and Y. Zhang (2005): An Evaluation of Pan-Sharpened Multispectral Imagery for Land Cover Classification Using eCognition’s Object-Oriented Approach, to Definition GmBH, Feb28, 2005. Burbridge, S., and Y. Zhang (2002): Monitoring Urban Change Using Medium and High-Resolution Satellite Imagery, UNB, April 2002, 36 p.
Ross, B., and Y. Zhang (2002): Accuracy Analysis of Integrated Navigation Systems for Modern Photogrammetry, UNB, April 2002, 32 p.
King, J., and Y. Zhang (2001): LIDAR Remote Sensing: Its application in the field of feature extraction in urban areas. Internal technical report, Dept. of Geodesy and Geomatics Engineering, UNB, April 2001, 35 p.
Bigney, G., and Y. Zhang (2001): Investigating the use IKONOS imagery to update the City of Fredericton geographic information system. Internal technical report, Dept. of Geodesy and Geomatics Engineering, UNB, April 2001, 40 p.